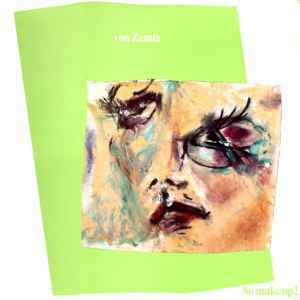 Von Zamla ‎– No Make Up! Recorded in the Chickenhouse, Uppsala, Sweden, May and August 1983, except Piece of Antsong, recorded live in Charlesville, France, March 1983 and Voice Improvisation recorded live in Hildesheim, BRD. March 1983. Mixed in the Chickenhouse September 1983. Mastered at The Cuttingroom, Solna, Sweden. Includes 2-page insert: Zamla: A Group History, by Lars Hollmer.